As DC Grows, Is There an Equitable Way to Address Pop-Ups Without Eliminating Them? | Park View, D.C.
As DC Grows, Is There an Equitable Way to Address Pop-Ups Without Eliminating Them? Over the past year, the houses on the southeast corner of Harvard Street, at 15th, have been slowly popping up. As each house falls like dominoes, the front porch is removed and the roof is raised. The house on the corner was the first to get renovated and was renovated reasonably well. The third house in was the last and the least compatible with the street. Pop-Ups, additions to houses that add vertically rather than horizontally, can be hit and miss. When one is designed and built well, many of us don’t even notice them … but when one is done poorly (like the now famous V Street structure), everyone seems to get up in arms about how something should be done. As 2013 wound to a close, one story that many may have overlooked was Ward 1 Councilmember Jim Graham’s listserv emails addressing his concerns with Pop-ups. The City Paper’s Aaron Weiner posted Graham’s arguments and text from the listserv on December 12th for readers that may have missed it. Like Councilmember Graham, I too have grave concerns when it comes to well established neighborhoods that are eligible for status as historic districts being destroyed by greedy non-D.C. developers who merely want to make a profit and slink back to Maryland or Virginia. I’m also grateful that CM Graham has decided to dig into this issue and see if there is a way to find a solution to what I’m sure is a very complicated issue. However, I don’t agree that banning pop-ups out right is the right way to go. The issue, as I see it, is one of aesthetics, not height. I’ve also been paying attention to upward additions within Columbia Heights and Park View over the past few years and have noticed some examples that are exemplary. I might add that no part of either Columbia Heights or Park View are currently in a historic district — meaning that these examples of good design were not forced on the property owner, but rather the result of someone caring enough about their building and community to do the right thing. It also tells me that, while more expensive, it is not cost prohibitive to create an addition that is an asset to the neighborhood rather than visual blight. 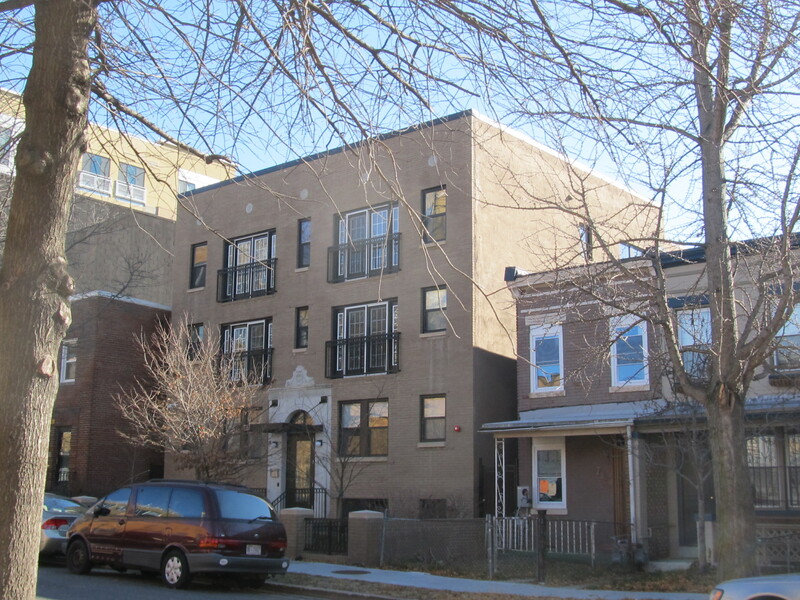 When 732 Lamont was successfully transformed from a blighted shell to new condos, a third floor was added. The developer was able to keep the character of the building and street intact. The primary problems, as I see them, are these: 1) Outside of the Historic Preservation Review Board and/or the Commission of Fine Arts, there is no design review for new construction in the District of Columbia. This is especially true outside of the original L’Enfant City; and 2) Washington’s bottom up approach to historic districts. The process requires residents — most of whom are neither architectural historians nor social historians — to recognize the value of their communities and mobilize seeking the protections that come with historic district status. In short, the District’s process requires laymen rather than those with training, education, or experience to be the catalyst for what neighborhoods are worthy of protection and which ones are not. This piece meal process also means that similar neighborhoods with equally historic, character defining architecture are not treated equally. This approach actually does harm to unprotected neighborhoods as new historic districts are created as developers tend to focus on unprotected older neighborhoods. 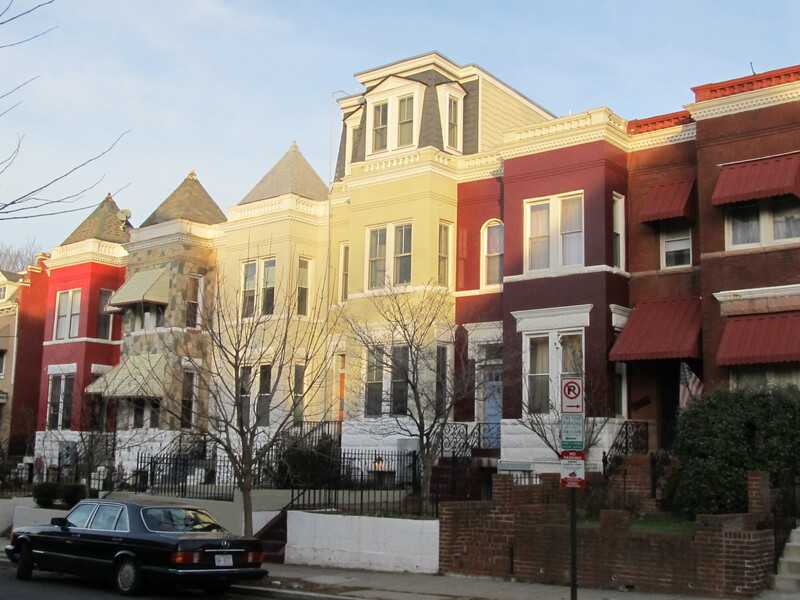 What is really needed in the District is a comprehensive plan to address both aesthetics and the District’s historic housing stock. I think there is a middle road that could provide a more reasonable balance than making pop-ups illegal. That road could be the creation of conservation districts … but only if they are applied on a comprehensive, city-wide scale. The idea of historic conservation districts have been bandied about for a little while now, but in the last year more attention has been paid to the idea as a possible middle ground to residents who are concerned about the most egregious sins perpetrated on neighborhoods by developers but who do not want the level of oversight that come with historic districts. I’ve had some dyed-in-the-wool preservationists tell me that conservation districts are to be fought against merely because they fear that D.C. would never get another historic district designated if this less restrictive option were available. I, on the other hand, believe that there is much to be gained by including this as an option for our city and that it could sufficiently protect a neighborhood until such a time as more official recognition is warranted or desired. 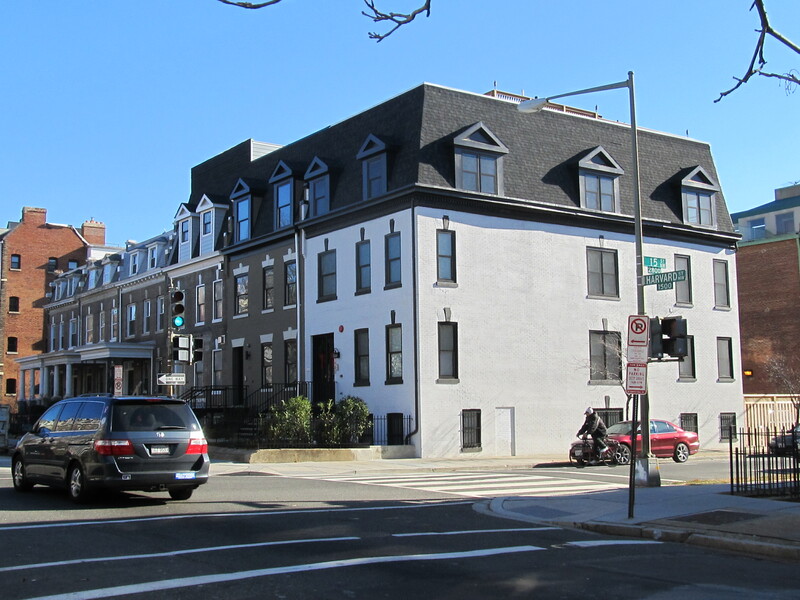 A rowhouse on the 3600 block of 10th Street, NW, illustrating a very successful pop-up. However, if the District does embrace the concept of conservation districts, then it also needs to apply them evenly and fairly. While I doubt our Mayor or many on the Council would have the courage to not only pass legislation to create conservation districts but to also apply them comprehensively, it seems to me that the best implementation would be for the District to select a date — for the sake of argument let’s select 1930 — and say that neighborhoods or blocks where 70% or more of the buildings predate the selected date are automatically considered part of a city-wide conservation district. This would be a fair approach rather than pitting one part of the city against another based on who has means or education. It would also provide the valuable design review for major undertakings such as pop-ups and additions without requiring oversight for new sidewalks or window replacements. As addressing the “pop-up problem” is a complicated issue, many details would need to be worked out to take such a bold step, but in a rapidly growing and changing city, we no longer have the luxury of timidity. Rather than fight growth by retaining the Height Act or outlawing pop-ups, we would be better served by allowing growth in a manner that complements and enhances the character of our existing neighborhoods. After all, it is the architectural character and cohesiveness of our streets and communities that many residents want to protect. This entry was posted on January 6, 2014 at 7:01 am and is filed under Architecture, Development, Government. You can subscribe via RSS 2.0 feed to this post's comments.